GDB creates exceptional partnerships between highly trained guide dogs and people who are blind or visually impaired. The organization offers a lifetime of support and all of its services are provided free of charge. 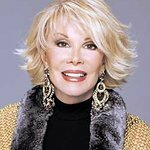 Joan Rivers was a notable patron, supporting the organization since 1988. Google trends for "Guide Dogs for the Blind"
We don't have any videos related to Guide Dogs for the Blind.